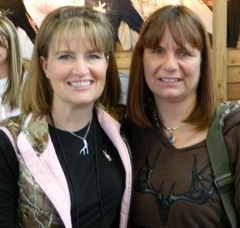 During the archery season of 2008, I managed to tag along with my husband and his friend Dan on their guy time hunt. We all were wanting to fill some of our tags. They both like to spot and stalk, while I am less comfortable doing that with a bow. Dan shot an 8 point buck at 15 yards, that had worked his way around an oil tank. He also shot a doe at a nearby creek, as she made her way down to drink. I finally convinced them to let me sit in a stand, so we picked one on the backside of Dan’s property. I could hear the deer making their way toward me. Mostly quiet, but the occasional shuffle of leaves. Finally 3 deer, 1 small buck and 2 doe came into my view. I was going to shoot the big doe, and drew back my bow, when I noticed the button buck was missing half of his front shoulder. At that point, I changed position and sent my arrow into the button buck. He ran a few yards, and dropped. When I went down to him, you could tell someone had shot him during muzzle-loader season, and you could fit a grapefruit into the hole that was left. I couldn’t let that little guy suffer anymore. I took some ribbing from the guys, because I wasted my tag on a mercy kill. I am sure I could have called the Game Commission and explained the situation, but I made my choice freely and had shot my buck. 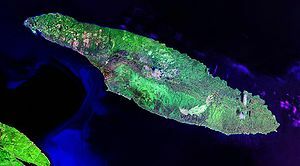 While he was not yet gangrene, he was not far from it. We only kept the hind quarters, and that equated to one meatloaf dinner for our family. Thus my meatloaf deer was named. This buck was not the biggest, and definitely not the nicest, but I will always remember this little guy. I am glad I could be in the right position to help put him out of his misery. Practice with your weapon at many different yardages. Know your shot placements for the species you are hunting. Use a range finder if unsure of how far you shot would be. And always make ethical shots. Last October I had the privilege of joining Vicki Cianciarulo of tv’s The Choice, and her posse, at Eagle Lakes Outfitters in Pike County, Illinois. She was trying to film footage for her show, so we had camera crews going out with hunters to the fields, and filming our everyday activities too. 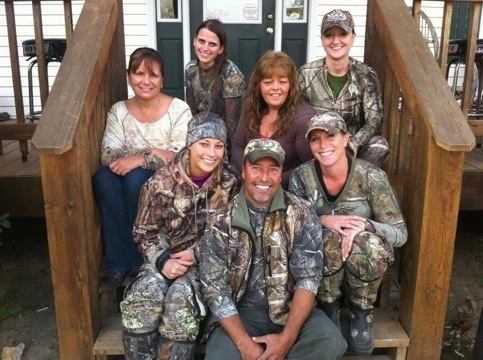 Andrea Main, Teresa McCullough, Jillian Donabauer and my daughter Shannon also were included in this hunt. This was the first archery hunt I had been on since my mastectomy, and I was using a Ten Point crossbow with my handicap designation. It galled me to have to have a handicap license, but I was still unable to pull a compound bow at any weight. My guide, Jim Halliday was wonderful. I connected instantly with him, and we had a great time together throughout the week. Everyone was seeing lots of does, and several small bucks, but nothing shootable. After 2 days and nothing happening, I had a really nice buck working his way into my area. I also had a group of does feeding 15 yards from my tree stand. Just as the buck was getting close enough to consider taking a shot, I had a doe snort and stomp her foot. There went my buck-gone! I turned to the doe and released my arrow. She ran up the small hill, and collapsed right in the middle of the lane. I texted Jim that I had shot a doe, to which he asked “is she dead”, I replied most definitely! He said this was the easiest tracking and dragging of a deer he had ever done! He was able to pull his truck right up to her. With the ice broken, hunters started to fill their tags. 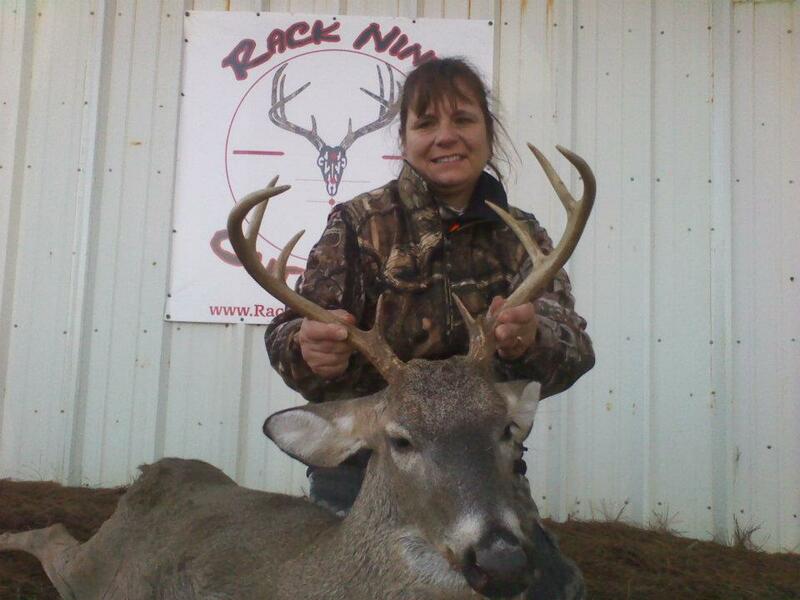 One of Vicki’s posse shot a doe, her first. Then a girl from Ameristep shot a doe right before dark. It was decided to back out and come back in the morning. Unfortunately by the time the sun came up, the coyotes had eaten most of the doe. For lunch one day the entire group went to a local Mexican Restaurant, Vicki’s treat. We had a great time, and great food. It is strange to be eating with video cameras filming you. We had high winds the one day, with some of the hunters opting to stay in camp. I was put in a clamp on 20 foot high. After rocking and rolling for hours, I was afraid the only way I was going to hit a deer was to throw up on them. This is the only time I have gotten sea sick in a tree! The last evening I had the buck from earlier in the week come back to my stand. I watched him make his way across the crp field. When he was at 30 yards, I took a broadside shot. He took off toward the top of the hill, veering to the left. I was hoping he would be piled up in the lane like my doe, but it was not to be. We looked that evening, but could not locate his trail. The next morning we tried again, but never did find him. Because we were walking through the woods and fields, Shannon had been placed in a nearby stand to take advantage of any deer pushed in that direction. It worked! She had a nice big doe come into her stand. She connected with her shot, but broke the front shoulder with the shot. She put a second arrow into the doe and was waiting for us with her doe when we got there. Three doe were taken during this week and recovered. One doe was lost to coyotes, and my buck not recovered. Lots of wonderful memories were made, and lasting friendships started. This is a reprint from a blog that originally appeared in “Shenanigans from the field”. I happened to see a post on Shenanigans from the Field about a Ladies in CamoLadies Only Hunt at Rack Nine Outdoors in Clio, Alabama. What caught my eye was that it was a buck, doe, coyote, hog and bobcat hunt. This was just too much to ask for. I had found this post only 2 ½ weeks prior to the hunt, so a lot had to fall into place for this to happen. I am a firm believer in fate and it would work out if it was meant to be. Well things fell into place perfectly and on December 7th I flew into Montgomery Airport to catch a ride with Richard and Nancy to the camp. Pulling into the camp I immediately felt at ease and knew this had been a good choice. The lodge felt like home, and the few huntresses and guides that were there felt like family from the start. While everyone pigged out on pizza, we made our plans for morning. There would be 3 of us hunting, while the rest were to come in staggered over the next 2 days. Four a.m. came early the next morning, with temperatures below freezing, and having not brought all of my cold weather gear, freezing is what I did too! Terry put me in a tree stand overlooking a food plot. It wasn’t long before the show began and I forgot all about being cold. I had a nice 8 point bucks with 2 girlfriends come thru, just pausing long enough for me to know I could not get a shot off at him. What a tease! Shortly after that another 8 point entered my view, and took his good old time about entering the food plot. He was joined by 2 spike buck that entertained me for almost an hour with their sparring and play. Meanwhile my 8 point was raking the trees nearby and making a scrape right in front of me. After 15 minutes of wonderful memories, I decided that if I would shoot this guy on the last day, the first day was a good day too. Almost right on cue the buck turned broadside then quartered away just slightly. My buck tucked his tail and hunched up telling me I had hit him good. I sent a text to Terry and continued watching the two spikes play. They never even flinched when I shot, and I videotaped them for the next 15 minutes. Unreal! In Pennsylvania I would have chased off every deer for a half mile with that one shot. When Terry and Doug arrived, we started looking for a blood trail, and panic started to set in. I knew I had hit him good, but there was no blood to speak of. We finally found 1 drop 10-15 feet from where he was shot and then 1 drop at a time, at 5-10 feet intervals, for about 70 yards. I was just about heartbroken when Doug said “there he is”. He had only gone 75 yards and was piled up under a pine tree. He was nice high 8 point, and I was thrilled. The next evening I was placed in a ground blind, in a tract of woods near a food plot. Both Terry and Doug had said to feel free to spot and stalk hogs, so that was my goal. Coyotes were howling nearby as I slowly hiked about ¼ mile down a logging trail from the blind. Before long it sounded like a football team racing thru the woods. Slowly and quietly I inched into a position to see the hogs. It did not take long to find a big sow, and with a lot of luck she walked into the one sight window that I had that was big enough to shoot thru, about the size of a coffee can. Holding my breath I took the 75 yard shot, and was rewarded with watching her drop not 3 feet from where I shot her. I continued to look for my next shooter, but this group turned tail and ran. After texting Terry that I had a hog down, and that I was going to continue looking for her friends, I marked her location and started tracking the whole herd. It did not take long to locate them across the logging road. I had to go into the cramped quarters of the paper mills pine forest. At one point I had 3 groups pretty much surrounding me, easily 100 wild pigs, all squealing and rooting and paying no attention to me at all. As much as I tried to, I could not down another pig, but what a rush to have that many wild pigs around you!